The entire team of the Mercure de Cavaillon Les Portes du Luberon hotel welcomes you to Provence. Enjoy a break in this privileged location. Relaxation guaranteed with the chirps of cicadas in the background and the scent of lavender. 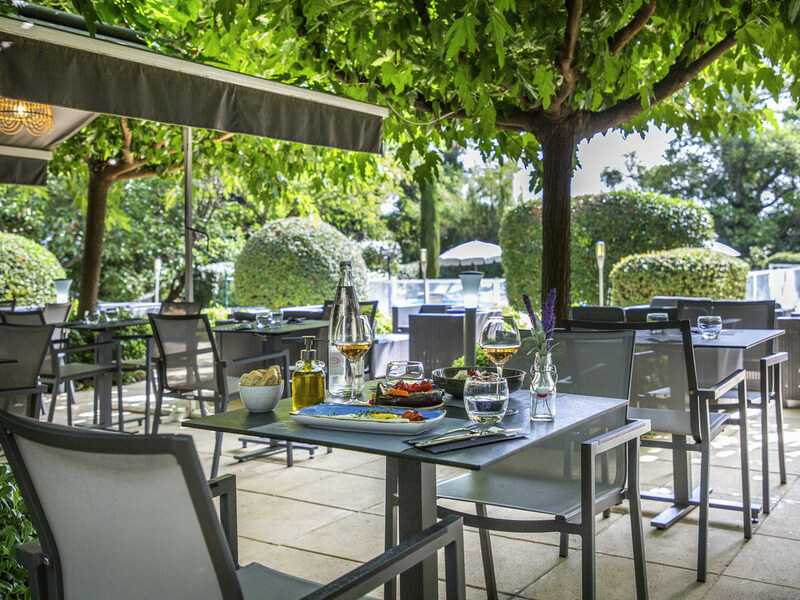 The 4-star Mercure de Cavaillon Les Portes du Luberon hotel is located in the Luberon regional nature park and is surrounded by a 2.5-acre (1-hectare) garden with a pool and tennis court. Ideal for business trips or family stays in the heart of the Proven ce. Our 46 bright, spacious rooms are air conditioned and our meeting rooms can be adapted to suit all requirements. Our restaurant offers regional cuisine, a terrace next to the pool and free enclosed parking. Close to Arles and the Camargue, the Mercure Cavaillon hotel is an address to be favoured to discover the Alpilles, the Luberon, the Isle sur la Sorgue and the Baux de Provence during a seminar or a family visit. For your comfort, our hotel will be renovated from October 2018 to March 2019. We will continue to welcome you during the work. All our rooms offer maximum comfort, as well as free, unlimited WIFI Internet access. With our Privilege Rooms, you can also enjoy a private balcony with a view of the park. LOlivier restaurant seats 92 guests and features a terrace under the trees in the park. It offers regional cuisine in pleasant, friendly surroundings.